Lou Diess first became familiar with the PACA through a family produce business. 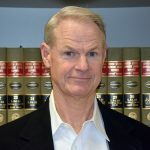 After receiving his law degree from Widener University School of Law in 1992, Lou has concentrated full-time on representing produce companies in all segments of the produce industry, such as growers, shippers, brokers, terminal market receivers, retailers, exporters and importers from every major shipping and receiving point in the nation. 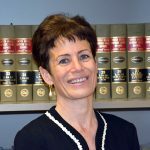 Lou has represented produce companies in hundreds of PACA trust actions in the federal courts and many reparation disputes before USDA. In the course of representing produce companies in these cases, he has developed a thorough understanding of produce company operations and PACA law, as well as a good working relationship with PACA personnel in each PACA office across the country. Lou periodically writes articles for the national produce industry credit reporting service agencies, Red Book and Blue Book. These articles discuss various legal issues arising under PACA. Lou also conducts seminars on the PACA for corporations, credit groups, and wholesale terminal markets. Lou was admitted to the bar of the Court of Appeals of Maryland and the bar of the Supreme Court of New Jersey in 1992. He is also admitted to the federal bars of Maryland, and several U.S. Courts of Appeal. (Not admitted in DC, practice limited to federal courts.) He recently successfully argued a major PACA trust case before an 11 judge en banc panel in the 9th Circuit, and obtained a highly significant ruling providing stronger protection for produce suppliers under the PACA trust. Reported cases: S&H Packing & Sales Co. v. Tanimura Distrib., 850 F. 3d 446 (9th Cir. 2018 en banc). Bear Mt. Orchards, Inc. v. Mich-Kim, Inc., 623 F.3d 163 (3d Cir. 2010); Golman-Hayden Co., Inc. v. Fresh Source Produce, Inc., 217 F.3d 348 (5th Cir. 2000); In re Snyder, 184 B.R. 473 (Bkrptcy. D.Md. 1995); Red’s Market v. Cape Canaveral Cruise Line, Inc., 181 F.Supp.2d 1339 (M.D.Fl. 2002) aff’d 2002 WL 2001204 (11th Cir. 2002); “R” Best Produce, Inc. v. Shulman-Rabin Mktg, Corp., 467 F.3d 238 (2d Cir. 2006); A&J Produce Corp. v. Bronx Overall Econ. Dev. Corp., 542 F.3d 54 (2d Cir. 2008).